House calls are easy to understand – depending where you are, I come to you. No explanation needed. Charged per hour. 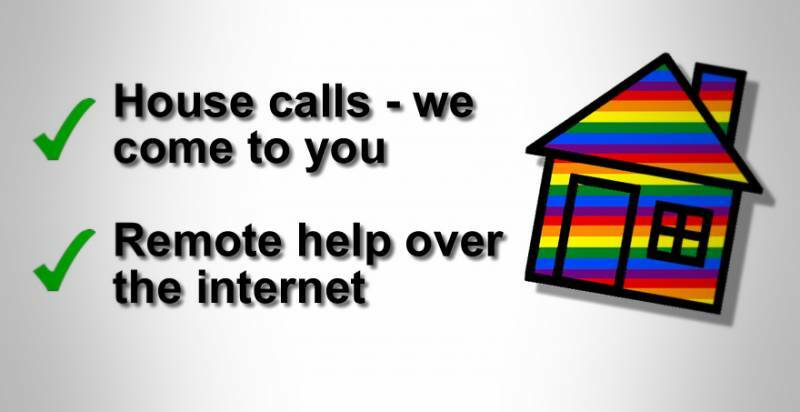 Perhaps less obvious, is remote help – some problems can be fixed over the phone and a remote connection. lgbt computer geek can, with your permission, securely connect to your computer and sort out your problems. The industry-standard remote software makes it incredibly easy to setup and use a connection that lets me take temporary control of another PC from my PC. 9-digit ID number and password protected. You see me moving the cursor on your own computer as I help you remotely. I can now see what’s on your screen and start working on your problem.